Carbon Monoxide is a deadly gas that you cannot see or smell. Exposure to even low levels can cause brain damage or worse... death. 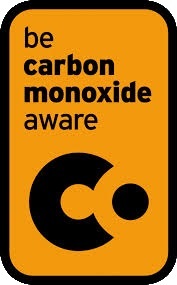 Carbon Monoxide can be produced where an appliance has been incorrectly installed or the flue liner has become blocked. Tell-tale signs are soot in and around the appliance, a yellow/orange lazy flame and excess condensation. If you live in rented accommodation insist on seeing your landlords Gas Safety certificate for the property.